When the modules reach the construction site the construction supervisor is already there. He takes charge of the entire coordination of final mounting. On site the modules will be unloaded by means of a crane and placed in a row or stapled onto the prepared foundation and connected to each other. 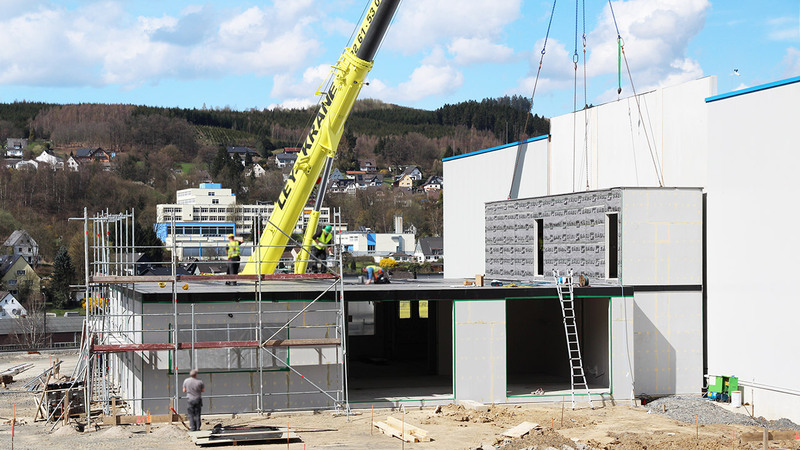 Once the modules are set up the final installation can be started at a clean and dry construction site and compared to conventional construction, with minor construction noise. Especially for extension buildings this is a considerable advantage.